For every campaign, we insert an organizing frame. 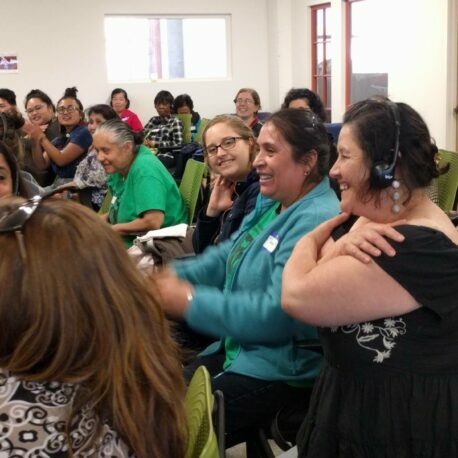 The California Domestic Workers Coalition provides the structure in which domestic worker voices and leadership are uplifted. A strict accountability to our base means that domestic worker leaders are at the center of defining the problems, finding the solutions, and taking action on the issues that most impact them and their communities. Adhering to a community-centered vision of what it means to build power, domestic worker leaders are trained to be organizers and advocates, conduct outreach to other domestic workers, lobby decision makers, be spokespeople, work with the media, lead workshops, and define campaign strategies, goals, and messaging. Develop worker leadership with the goal of personal transformation. Expand & deepen our base of organized domestic workers across the state. Bring material change to workers’ lives that opens pathways for future organizing and emboldens our vision of what’s possible. What to do when your labor rights have been violated?